Slartybartfast was a turtle, a very fine turtle. This is a picture of him as a baby. 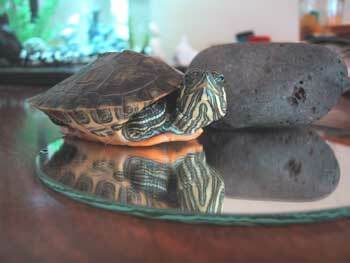 He grew up to be a handsome red-eared slider. He was loved and he will be missed.